Globes are 12 inches in diameter, neckless with a 5.25 inch opening. 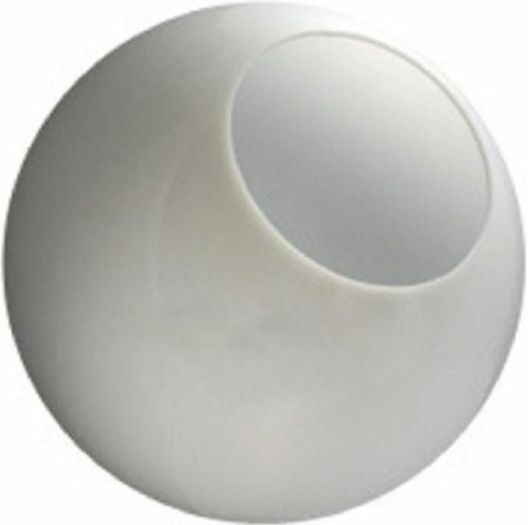 Globes are white acrylic and are 12 inches in diameter, neckless with a 5.25 inch opening. They are one piece injection blow molded, water and shatter resistant with UV inhibitors to help prevent yellowing. Please see diagram. Exact replacements for my 20 year old lampposts! So glad I could get the same ones. Reasonable price, excellent communication and delivery time! Thanks so much!! Good quality and was delivered with a quick turnaround. I would recommend this company to my neighbors. Thanks for the great service. The white acrylic lamp post globes look great and are an excellent replacement for the more breakable glass globes. Note that even though they are acrylic they are still breakable with hard impact. The polyethylene globes are the most unbreakable, although they don't have quite the same hard surface quality as the acrylic or glass globes have. Anyone who has glass globes for light poles knows they will break at some point and this is an excellent replacement.